I was going through the usual round of checking my mail, that’s when I saw a mail that I should have had expected earlier in the day. I had completely forgotten that I had given out my email id the previous night to a person who contacted me through my blog’s Facebook page for some auto event. I went to dad with my laptop, asked him to stop all his work and just listen to me! I showed him the invite and said that I wanted to go. He said no because I was gonna be on my own with unknown people, that too far away from home.. “You don’t even know whether they are real or fake!”. Before I could speak up, I got my answer. And the real reason, I had college to attend for some placement training also the next day. I calmed a bit, thought about the whole situation, weighed in all the profits & loss I would make depending on the decision I would take. I had to deal with this situation now! I asked my dad if I could at least call up the person who mailed me the invite and get a few more details, what’s going to happen, what would I have to do, etc. I got all the details & then had a 15-min long discussion with mom & dad, since this was the first time I got an invite to some event like this (because you guys read my blog so lovingly! Thank you friends! 🙂 ) and I was gonna be on my own for the next day, IF they said yes. I was up early today and was waiting for my pickup car to come & take me to Hallmark Honda, Navi Mumbai, from where the journey would start. I got picked up at around 06:30 & reached the assembly area around 07:30. All the CARS were getting ready for the drive. The CARS were being numbered, stuffed with some food for the journey, some goodies, the itenary, first aid kit, map to the destination. 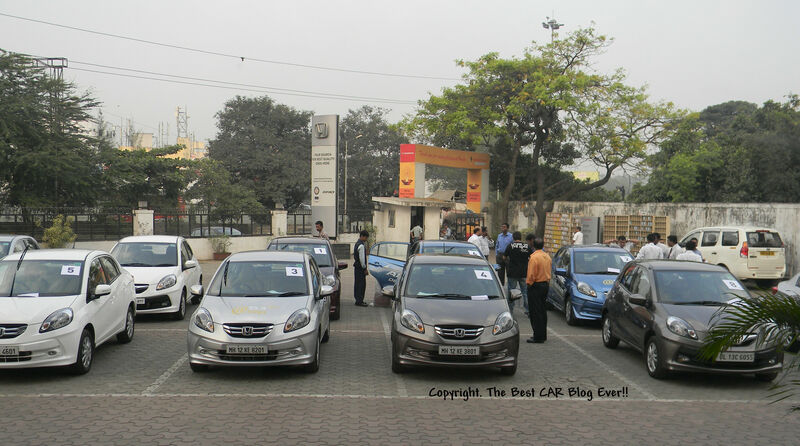 It was scheduled to start at 08:00 hrs, but we finally got allotted our cars & started our journey by 09:00 hrs. 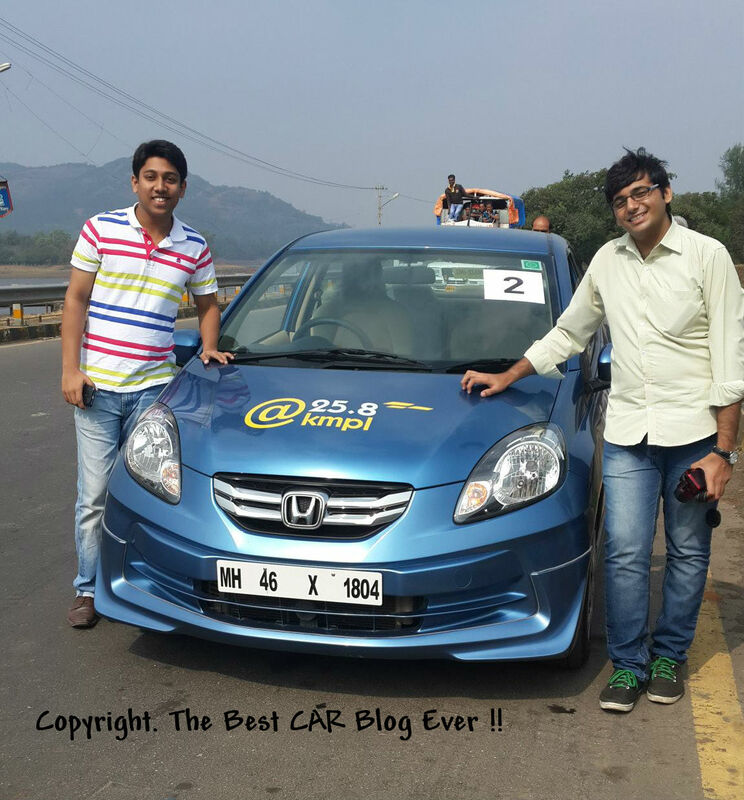 And so we began our journey towards Aamby Valley City, Lonavala (our destination) in our cute-blue Honda Amaze (diesel)! Lots of space to speed! 42Kms More! 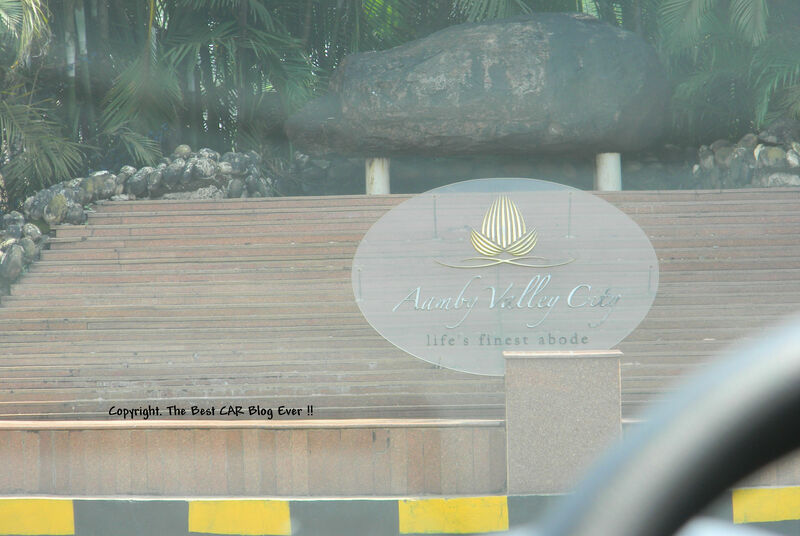 Lonavala here we come!! 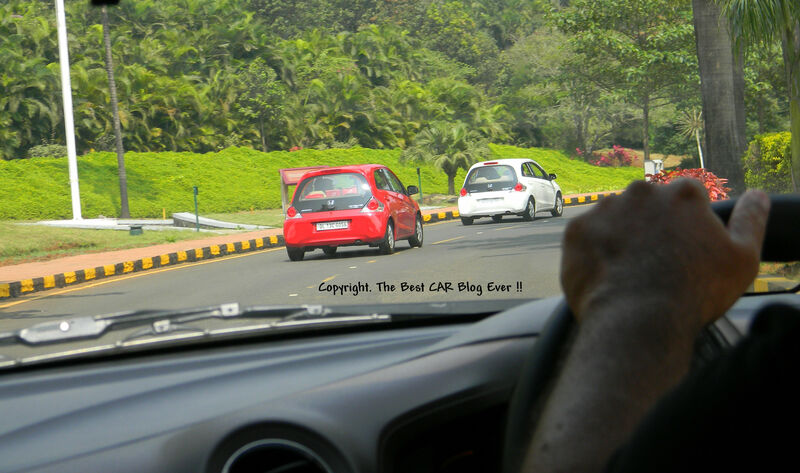 With me in the car were Deepak Amembal [@magic_eye] and Rohit Sane [@rohitsane]. The People and the CARS at the Hangout! 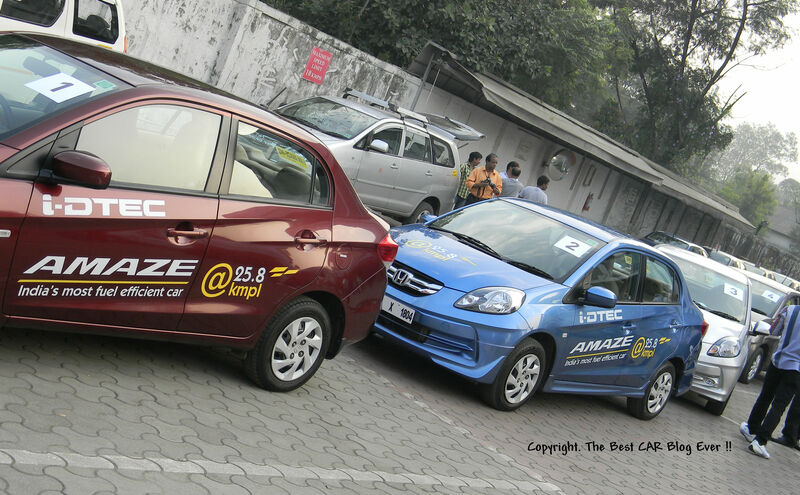 U, Me n our Brio! I guess that was the Tiger Hill! Nothing is too big to stop it from moving on! And that’s Deepak sir with his camera! This ones from that ‘Natural’ pic! This one’s for you to guess how I took it! Let me know if you can figure out! We then continued our journey & reached our destination around 12:30 hrs. 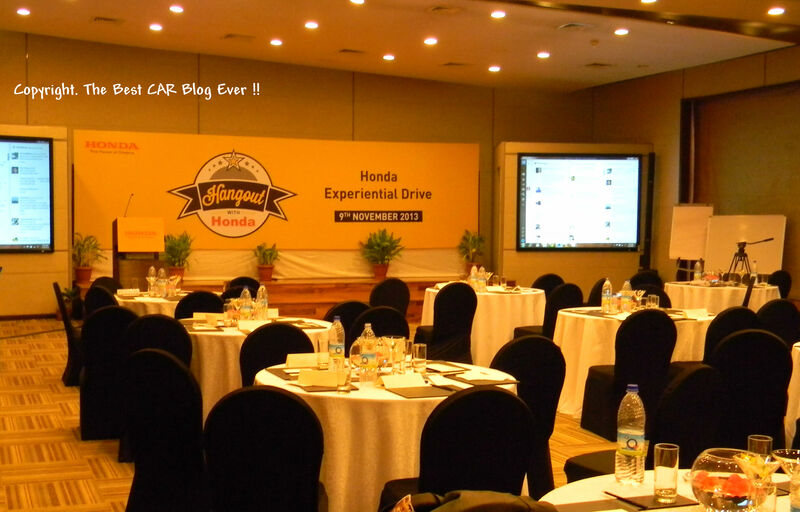 We were joined here by the officials from Honda, who then did a presentation on Honda, what they do, the Amaze, the Brio, the diesel engine, etc. Here’s the video that we got to see over there. Do watch it!! We broke out for lunch and then it was followed up with a bunch of games with the Honda CARS! Yep, two different games, one where we had to make an ‘8’ with the Brio followed by a reverse park to complete the track. Winners were decided based on the time taken to complete it. The other game was kind of similar, we had to create an 8 again with the Amaze and do a straight reverse back to the starting line to finish the track. And here’s the twist, the Amaze would have a bucket securely taped in place, filled with water, on top of it. Winners were decided based on the least amount of water spilled, followed by the least amount of time taken. That’s me on the right with the Amaze and Rohit!